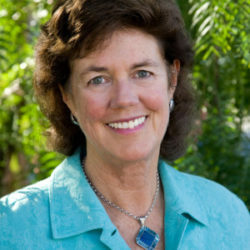 Corinne McLaughlin is co-author of The Practical Visionary: A New World Guide to Spiritual Growth and Social Change,Spiritual Politics, and Builders of the Dream. She is the executive director of the Center for Visionary Leadership, based in California and North Carolina, and a co-founder of Sirius, a spiritual and ecological community in Massachusetts. Corinne coordinated a national Task Force on Sustainable Communities for President Clinton’s Council on Sustainable Development and served on the adjunct faculty of the American University and the University of Massachusetts. A Fellow of the Findhorn Foundation, she has taught courses on spiritual development and social change with her husband, Gordon Davidson, for more than 30 years in the United States and Europe. They have been interviewed for more than 130 newspapers, magazines, and radio and television shows, including The New York Times, The Washington Post, The Wall Street Journal, USA Today, The Boston Globe, NBC TV, andFox News. Corinne is a member of the Transformational Leadership Council and lives in the San Francisco area. To read more about Corinne, visit her personal site.